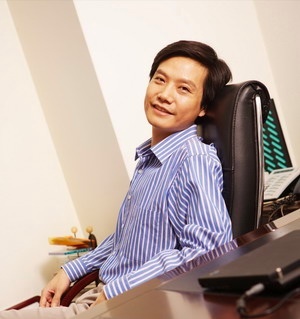 Lei Jun was born on the 16th December 1969, in Xiantao, Hubei, China, and is best known to the world for being the co-founder of Xiaomi Inc., one of the leading electronic companies in China and the world’s fourth largest Smartphone maker. He has been an active member of the business industry since 1990s. Have you ever wondered how rich Lei Jun is? Authoritative sources estimate that the overall size of his net worth is over $13.5 billion, which as of late 2015, places him as reaching 87th place in the Global Billionaires List. The main source of this amount of money is owning 77.8% of Xiaomi Inc. Additionally to this, in 2014 he was named by Forbes as Businessman of the Year. Lei Jun was raised in his hometown, Xiantao. Before he got a BA degree of Computer Science from Wuhan University in 1991, he attended Mianyang Middle School. His professional career began with Jun working as an engineer at Kingsoft, a Chinese software company. He proved himself worthy of the task, and climbed up the ladder, eventually becoming the president of Kingsoft in 1998. Within less than two years, he established an online book store – Joyo.com, which was sold in 2004 to Amazon.com, for a great sum of money. After ten years as a president of the Kingsoft, he left the job in 2007, stating health issues as a main reason. Nevertheless, he had considerable capital, net worth from selling Joyo.com to Amazon, and quickly invested in UCWeb Inc. and a year later became its Chairman. In 2010, Lei established Xiaomi Inc, a company that focuses on production of smart phones. Soon the company started to grow in worth and popularity, selling its products world wide, and in 2014, it was reported that the company`s worth was $45 billion. Xiaomi has expanded its products from smart phones, to tablets and mobile apps, and it has also designed its fitness band, entitled Mi Band. To speak further of Lei`s career, he has his money invested in more than 20 Chinese companies in the area of e-commerce, social networking, cosmetics, and various other areas of business, which would add to his overall net worth. However, in 2011, he returned to Kingsoft, this time as an Executive Director of the company. Thanks to his successful career, Lei has been rewarded with numerous prestigious accolades, including the Top 10 IT Figures in 1999, 2000 and 2002. Furthermore he was named in the Top 10 Figures Of Gaming in 2005, and was named one of the 11 Most Powerful Business people in Asia by Fortune in 2013. When it comes to his personal life, Lei Jun is married to Zhang Tong and they have two children. For his accomplishment in the smart phone industry – and for wearing a similar clothes – many people call him the ‘Steve Jobs of China’.